As this year comes to a close – even if it is a little scary to say that aloud – I wanted to pat myself on the back a little for sticking to my New Year’s Resolution of looking after my skin more than I ever had. In the last eleven months, I’ve fallen in love with a vast number of products that I previously hadn’t tried, whilst discovering just as many that didn’t work for me or my skin for whatever reason, and I’ve finally begun to realise the importance of investing in skincare that’s good quality. I’ve written more posts this past year about skincare than I ever thought possible – that being said, there are a few cult skincare favourites I’ve recently got my hands on that I couldn’t wait to write about..
I’ve toyed with buying the Pixi Glow Tonic time and time again – constantly seeing other bloggers rave about its ‘powers’, the changes it has brought to their skincare regime, and how the brand itself is one of their favourites – yet it took me until a few weeks ago to actually pick up the cult skincare favourite of so many. Boots, as you will without a doubt already know, recently began stocking the brand and the entire range had an introductory offer of 25% off, which I naturally couldn’t resist. I began using it that night after cleansing, quickly falling in love with both the scent and the way it left my skin feeling after it had been applied. I can now rest easy at night knowing that if I have had a breakout through the day – which I admittedly rarely get any more – applying the toner in the evening will ensure I’m blemish free by the time I wake up. 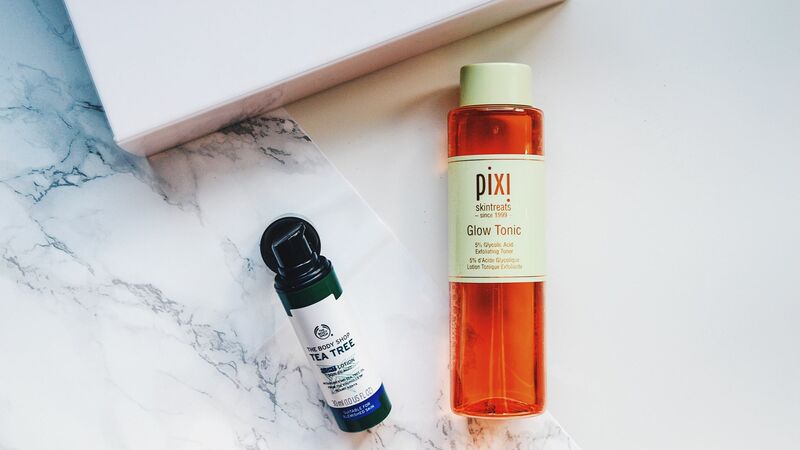 Pixi Glow Tonic is one hype that I am totally on board with, and I already can’t see myself living without the product..
As one of the most popular skincare brands, probably in the world, I was super excited to receive such a generous package from Dermalogica as part of their #Skinfluencer programme – so much so, I almost cried happy tears unpackaging it. While I was most excited to try the Microfoliant, I was overwhelmed – in a good way – at just how incredible I found the Precleanse. While a little difficult to work with at first – picture me, stood in my bathroom, not expecting it to be nearly as oil-like as it is, as it escapes down my arms and neck – it did such an incredible job at removing my makeup, I was left genuinely gobsmacked. Whether I was wearing a small amount of mascara, or a full eye look with eyeshadow and eyeliner, nothing was left untouched, doing a better job than any wipe or micellar pad or cleanser I’ve ever previously used. Better yet, I woke up the following morning without panda eyes which, regardless of how much I attempt to scrub away or how much product I normally use, literally never happens in my world. And – to top it all off and make this my dream skincare product – it smells bloody insane, like I would happily bathe in the stuff (although its oily nature means I’d probably spend the next four years trying to escape my bathtub, slipping back into the tub-like-abyss over and over again). Would definitely be worth it though to smell so good..
Dermalogica’s Microfoliant has, at least in my eyes, been a cult skincare favourite for just about forever, and is a product that I’ve always wanted to try myself. I remember watching a Shani Grimmond video about a year ago where she talked us through her skincare routine, and while she featured a few products from the brand, the product that caught my attention the most was the Microfoliant. 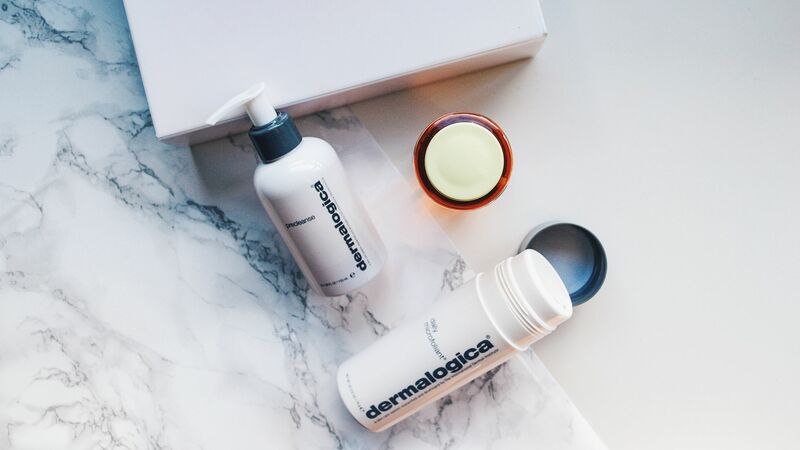 Dermalogica’s Microfoliant is like nothing I’ve ever tried. The product itself is a grainy-like consistency at first which becomes a paste when a small amount of water is added. I’ve previously found most exfoliants to be harsh on the skin, and whilst my face is left feeling smooth and clean, it’s also left feeling more sore and dry than normal, something that doesn’t happen often as an oily skinned gal – but this changed my mind. My pores felt unclogged, my skin looked glowy and I instantly realised why the product was loved so much, by so many. Admittedly not quite a cult skincare favourite, but a bestseller nonetheless and recommendation from Katie on Instagram. And it just wouldn’t be a skincare post without at least one product from The Bodyshop, right? Katie, who has oily skin like myself, mentioned on her story that she had applied this the night before and nothing else underneath her foundation the following day, and was yet to see the appearance of any oils after hours of wear – so, I obviously had to purchase yet another product aimed at minimising the oily mess I call my face, just hours after watching her story in fact. And it bloody worked! I’m fairly sure I mention in every beauty post I ever write just how oily my t-zone is, especially around and down my nose, so anything that contributes to controlling it and making my foundation last longer than a couple of hours – not an over-exaggeration, a genuine mess through and through, me – is a win. I still need to use a primer alongside it – with my go-to’s at the moment being the Becca Ever Matte Poreless Perfecting Primer or The Bodyshop Tea Tree Pore Minimiser Primer – but together, my makeup lasts longer than any combination of products I’ve tried before, and with a 35% discount found online, I paid a super affordable £6.50. A bargain and a staple in my skincare routine now as well..
New Year’s Resolutions are notoriously difficult to stick with, but creating a skincare regime that consisted of more than Johnson’s Facial Wipes is one that I’ve loved. There’s still a vast amount of skincare brands and products I’m absolutely dying to try – I need to get my hands on more from Pixi, La Roche Posay’s Effaclar Duo has been on my wishlist for just about forever and I’m somehow yet to try anything from The Ordinary – but my love affair with skincare products is far from over, and I’m excited to make more discoveries in 2019. Have you tried any of the products or brands I’ve mentioned? What’s been your skincare discovery of 2018?